Two annual products for collectors made their first appearances on U.S. Mint sales boards — the proof American Platinum Eagle featuring the new "Life" design and the proof set of 5 quarters bearing new one-year-only designs. Released last Thursday for $1,420, the 2018-W Proof Platinum Eagle notched first-day sales of 4,420 coins. It enjoyed another buying bump on Friday when the U.S. Mint lifted its household limit of one coin. Sales advanced by 3,110 coins through the weekend for a four-day total of 7,530 coins, or 37.7% of the possible 20,000 coins. As a comparison, last year’s proof Platinum Eagle ended up with opening-day sales of 5,230 coins. It rose by another 730 coins through the first weekend to close with four-day sales of 5,960 coins. Its one-coin household limit was lifted on the fifth day and through the next full week reached sales of 8,044 coins. It eventually finished with sales of 8,892 coins. The U.S. Mint had originally placed its mintage at 10,000. The release in 2016 also had a 10,000 mintage and it sold out within an hour of launching. The piece for 2015 had an unusually low mintage of 4,000 coins and attained sell-out status within minutes of its release. The new proof Platinum Eagle was the Mint’s second best weekly seller. The most popular product of the week was a much cheaper set of 2018 America the Beautiful proof quarters. This year’s proof Silver Eagle and the seven World War I Centennial Silver Dollar and Silver Medal filled the remaining spots of the top ten weekly sellers list. The U.S. Mint published sales data for 260 numismatic products. Thirty-eight products outperformed their prior weekly gains against 131 previously. Not counting the new quarters set and platinum coin so as to compare apples-to-apples, 8 products increased by more than 1,000 units compared to 6 previously. In addition, 15 products saw their sales totals reduced against 18 previously. All were modest changes. 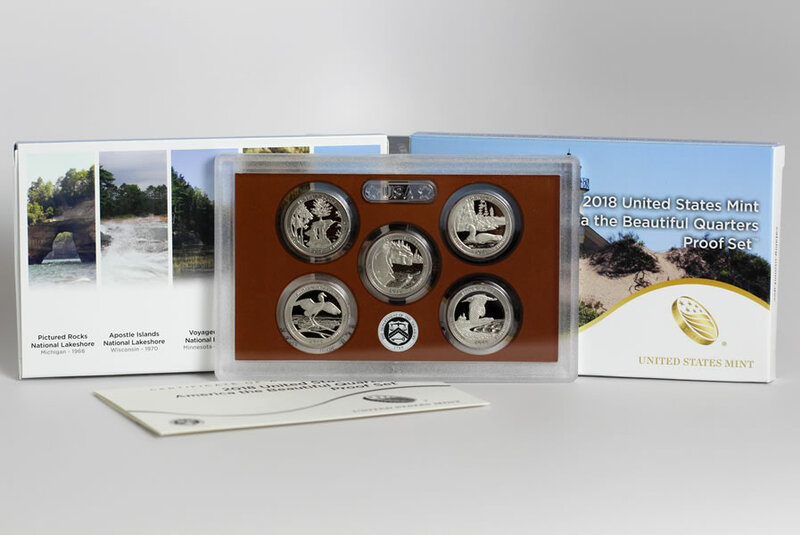 Below are tables showing the latest sales for U.S. Mint numismatic products. The sales period covers Jan 22 to 28. Products with an asterisk (*) are no longer available or had no reported sales. Thank you Coinnews for the very informative coin sales stats. This information helps guide me to purchase coins at low mintage weights. The price for the $5 BCA Comm is now up on the pricing grid.., ouch! I thought mintage was 20,000 not 10,000? Am I missing something here? Like with any other product, numismatic or otherwise, a price increase happens with the greatest of ease, while a price CUT is like trying to pull teeth, and deeply impacted ones at that. Just my own experience, anyway.